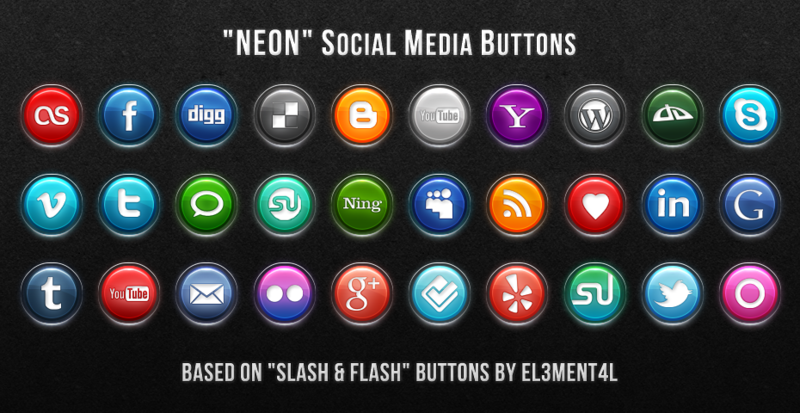 "Neon" Social Media Buttons based on "Slash & Flash" Buttons by EL3MENT4L on DeviantART.com ( Eric Fortier ). 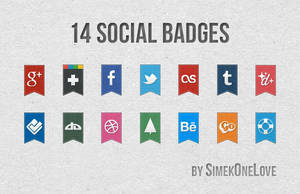 If you need any icon for other social media, just write it in comments! 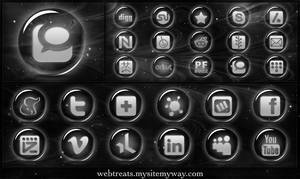 My favorite here is the wordpress & yahoo..But all are really nice done..Thanks for the share. You're such a wonderfull awsome tallent . Using some of these on my profile, and adding a custom artstation one too. Thank you! Can you do one for instagram and pinterest? These are beautiful! But my website software will only allow gif and jpg formats; any chance you can provide in one of these formats? can you make a pixiv button? Can i use they on my website ? Pinterest would be a good addition to these buttons. But thank you so much for providing these! Hello! There is only one Icon missing that is greatly missing...Soundcloud! Please give us a Soundcloud Icon. Beautiful work! These are cool. You should make one for livestream. Hi! 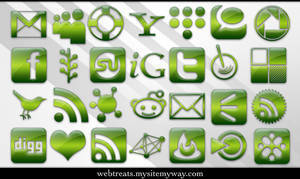 I downloaded these icons for my blog. I would like to request a Pinterest button. Anyways, I consider social media sites that you can make an account on, and connect in a way. Not in games, like World of Warcraft. how about Kickstarter and Amazon please? Thank you. 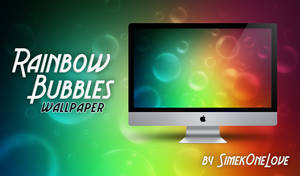 This is by far my favorite set of icons and would be perfect for my site. 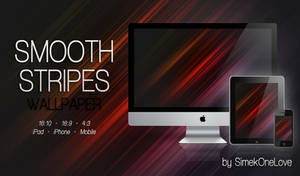 In order for me to use them I need the following (in order of importance): ShareThis or AddThis, Reddit and Pinterest. Fingers crossed that you can do these as well. Cheers and happy new year! Big fan of this set. Would there be any chance of a Posterous one? These are amazing! I don't suppose you could add an 'imgur' icon could you? I love the techy look of these buttons with the bevel and lighting. Thanks you guy, i'll use it soon in b&w in www.rapattack.fr ! I would like to second Pinterest, Artfire, and Etsy. Pinterest, especially... have looked high and low and it simply doesn't exist in any set out there. 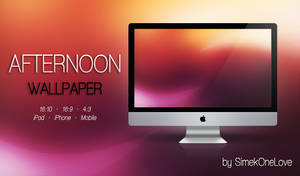 Wonderful work ! I'd like to second Pinterest, Artfire, and Etsy! 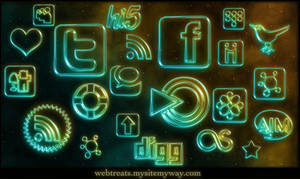 Wonderful icons! Soundcloud would be great mate! Love these! Any chance you could do a Pinterest one? THANKS!! Pretty awesome. One complaint, why isn't your YouTube icon in red?